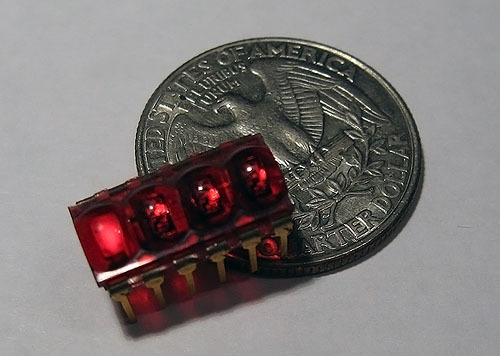 Hewlett-Packard manufactured a number of early DIP single die LED displays for use in handheld calculators, designed to be mounted in larger linear arrays. 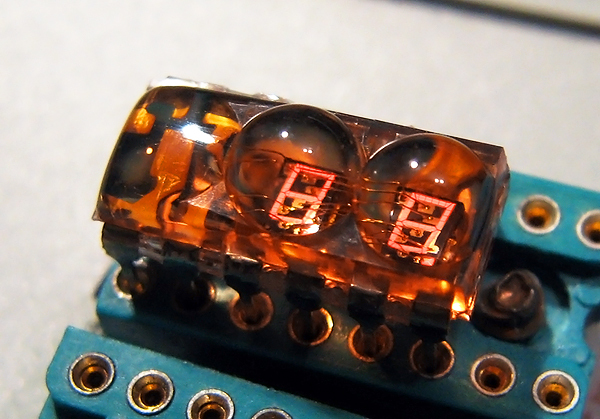 The HP 5082-7433 is a three-digit, seven-segment red LED display, which is compatible with the Litronix DL3xx series shown above, as well as other similar displays. The -7433 is not intelligent; control must be furnished entirely with external driver circuitry. The 5082-7415 is the five digit version of the -7433, and is otherwise electrically similar. 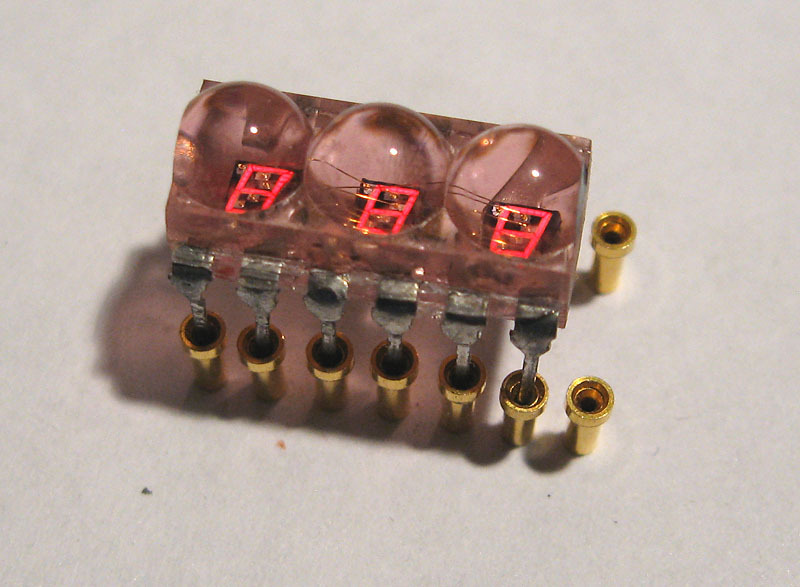 The 5082-7432 is a strange two-digit version of the 7433, enclosed in a truncated 3-digit epoxy package with only two of the digits have dies installed. 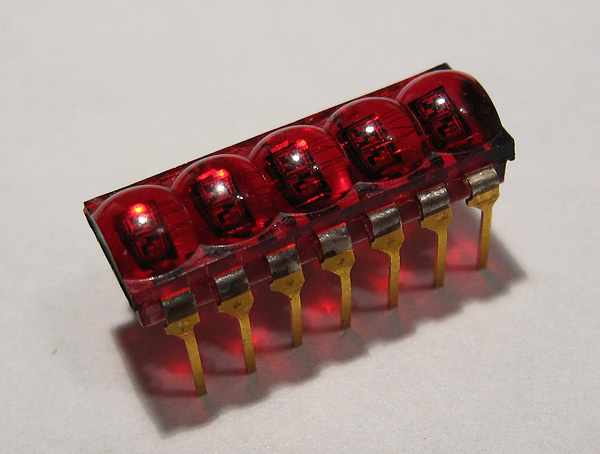 The -7412 is a similar device - a 12 pin, four digit package with only the three rightmost digits populated with dies. 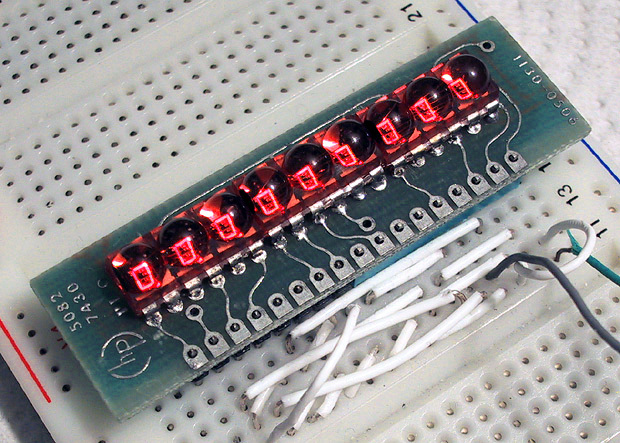 HP 5082-7433 multiple digit LED display. HP 5082-7430 assembly with three -7433 displays stacked horizontally, for use as a pocket calculator display. HP 5082-7415 five digit LED display. 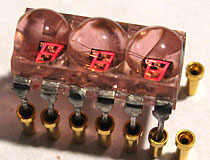 The -7415 is among the most famous of all HP LED displays, as it was used to construct the 15-digit arrays found in all first-generation HP handheld calculators. HP 5082-7432 two digit LED display. Note the unusual truncated 3-digit enclosure. HP 5082-7412 thee digit LED display. 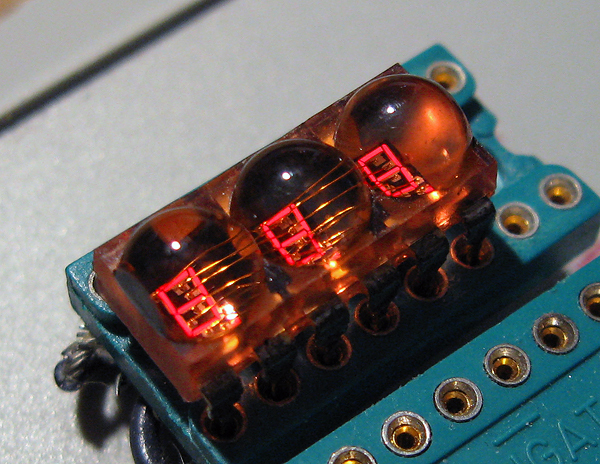 Though this package was designed to carry four dies, only three of the digit positions have been populated. An advertisement for a related device, the HP 5082-7405.